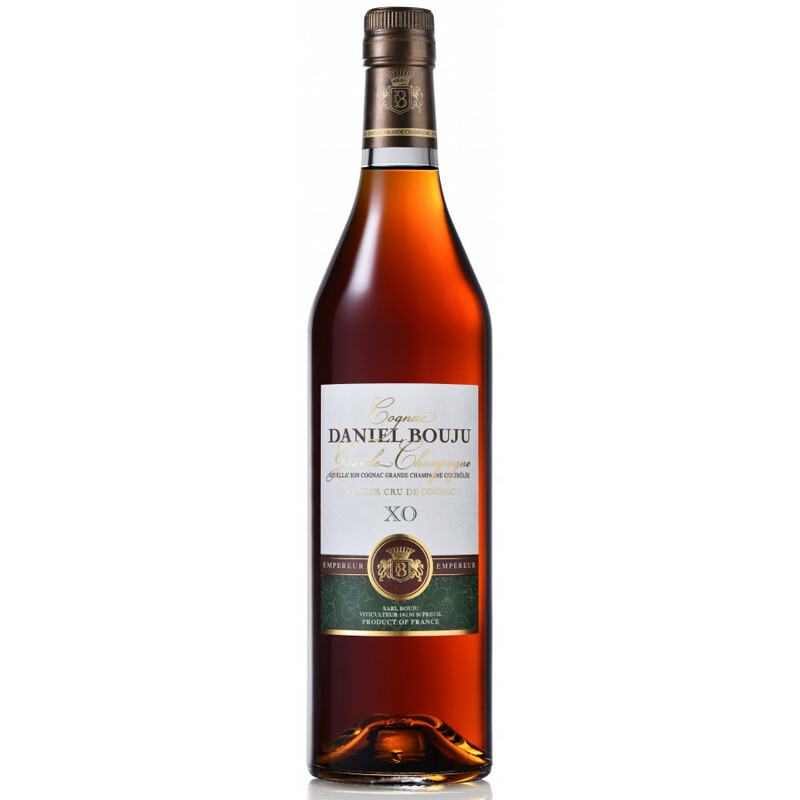 Daniel Bouju XO Empereur Cognac is created solely from eaux-de-vie from the premier cru of the region - Grande Champagne. As one would expect of an XO quality, there are three distinct phases to enjoy: On the nose it excites with scents of nutmeg, clove and cinnamon. These further evolve on the palate, with essences of vanilla and prunes dancing on your tastebuds. And of course, there's the finish - long, round, and satisfying... Together, the wide range of tastes and perfumes unite to provide the ultimate cognac experience. Wow! I noted immediately the deep and darker amber shade of the Cognac in the tulip glass. I let it stand for about 15 minutes to open up after opening the new bottle. The aroma is full and rich with the scent of spice and a touch of vanilla. It slides onto the tongue smoothly and begins to grow on the taste bids with significant nutmeg spiciness overlaying a vanilla undertone. The finish is powerful and long lasting, with the final taste of spice and a bit of vanilla. A wonderful Cognac for the price. I personally enjoy a slightly lighter bodied Cognac, more similar to the Remy Martin XO or the Courvoisier Napoleon, but that's a matter of taste. This Cognac is one for a bon vivant with good strong cup of coffee and a fine cigar. Unbeatable at the price point.